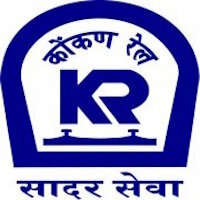 Online Application Details for Konkan Railway Corporation Limited KRCL Recruitment of 57 Assistant Loco Pilot is given below. Application form and duly attested documents are to be sent to Assistant Personnel Officer (Recruitment), Konkan Railway Corporation Limited, Belapur Bhavan, Sec-11, CBD Belapur, Navi Mumbai-400614. In envelope super scribed with 'Application for the Post of Post Name'.